Sources inform UrbanCincy that City Council is poised to approve a lease agreement with MLH Cincinnati USA, LLC to construct and operate the new $4 million Moerlein Lager House located within the Cincinnati Riverfront Park which is currently under construction. The ordinance will go before City Council’s Budget & Finance Committee on Monday, June 28th at 1pm, and then move on to a full council vote on Wednesday, June 30th where it is expected to pass with an overwhelming majority. 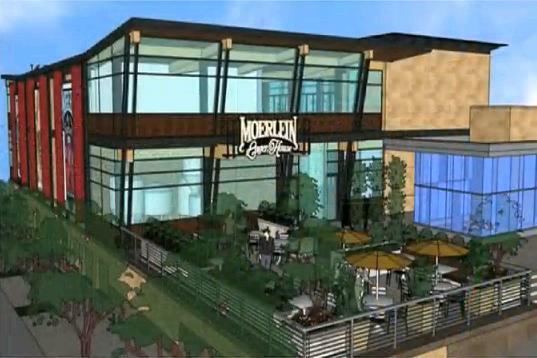 The new Moerlein Lager House is the first tenant signed for the new Cincinnati Riverfront Park which will eventually support several restaurant/bar uses. Once complete, the new microbrewery restaurant will brew 5,000 barrels of beer annually, offer brewery tours, and seat 500 inside with another 600 outside in two biergarten areas and a second-level terrace that will boast dramatic views of the new park, Ohio River, and Roebling Suspension Brige. Christian Moerlein CEO Greg Hardman says that the two biergarten areas have the ability to be connected around the building during special events thus creating one enormous biergarten area. Details on the lease agreement expected to be approved by the Budget & Finance Committee will be released on Monday, but it is understood that a variety of rent payments will be paid by Christian Moerlein to the Cincinnati Park Board over the course of the lease. 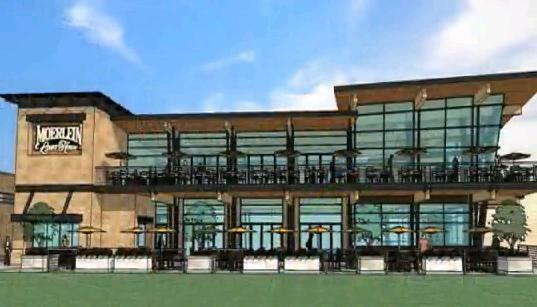 The 15,000 square-foot development is expected to be complete by spring 2012 which is one-year after the projected completion for the first phase of the Cincinnati Riverfront Park.